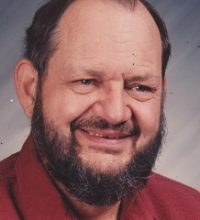 William ‘Bill’ Dirks, 85, died peacefully Saturday January 19, 2019 at Chris Jensen Health Center surrounded by family. He was born August 24, 1933 to Harold and Florence (Dwelle) Dirks in Olivia, Minnesota. After high school, he attended Hamline, served 2 years in the Army, and then finished his teaching degree at the University of Minnesota. There he met his future wife, Marian Johnson of Minneapolis. Bill enjoyed sports, was a talented woodworker, and an outdoors enthusiast; he greatly enjoyed hunting and fishing. He was a hard working man, a loving husband and father. 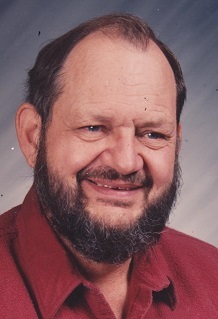 Bill taught Industrial Arts in Alexandria, Bemidji, and Maple, Wisconsin. He built many homes with his students. He was a member of First Presbyterian Church for 48 years. He is preceded in death by: his parents, sister Mary Miller, brothers Benjamin Dirks, and Robert Dirks. Bill is survived by: his loving wife of 59 years, Marian; son Michael (Linda) Dirks, daughter Rhonda (Jonathan) Troe, son Philip (Melissa) Dirks; 15 grandchildren, Matthew, Elizabeth, Andrew, Nathan, Rachel, Ethan, Lydia, Jonah, Marcus, Isabel, Sylvia, Elsie, Henry, Holly, Lily; three brothers Thomas (Kathy) Dirks, Jerry (Carol) Dirks, Scott (Connie Jo) Dirks.